Whether your business is already firmly established on social media, or whether you are just getting started, social media should be a top consideration for your B2B marketing plan for 2017. 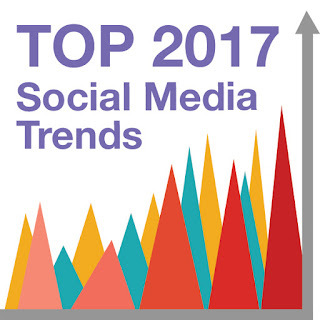 Here are some of the most important social media trends to consider in your social media marketing planning for this upcoming year. Social media users are increasingly interested in vicarious experiences. People don’t want to just see what their friends are doing, they want to feel like they’re there with them. Snapchat’s success and popularity has encouraged other social media companies to incorporate live video into their platforms. Snapchat is likely to grow in 2017, with increased messaging services and real world glasses that capture a user’s world view. Facebook and Twitter have also incorporated livestreaming into their platforms with Facebook Live and Periscope, respectively. Due to the increasing popularity of the feature, brands should consider incorporating livestreaming into their social media marketing to reach their target audiences. Livestreaming would be a perfect social media tool to engage with your audience about grand openings, customer appreciation events, or product announcements. With LinkedIn’s Pulse feature, employees can be brand ambassadors for their companies. Ryan Holmes, Founder and CEO of Hootsuite, suggests motivating employees to post about the company on a regular basis. Employers should make it simple to share and allow the employee to edit the post to suit their audience. Employee advocacy is digital "word of mouth" that allows a company’s brand and message to reach more people, with no cost to them. If the content is shared by the employees, the content then can be shared by the employee’s network, building an enthusiastic, engaged audience for your brand. Facebook’s audience is changing rapidly. It is no longer the favored social media platform for millennials. A survey from 2016 found that 41 percent of millennials still use Facebook every day, but Facebook is more popular among non-millennials. Simultaneously, Facebook has changed its algorithm making it more difficult to build an audience organically. In 2017, targeted advertising will be the best way to push your message to an audience. The change in the algorithm might seem disappointing, but targeted ads provide better analytics to understand the ROI of a communications campaign. EMarketer predicts that digital advertising will surpass TV advertising in 2017. With this new development, companies have more opportunities for Influencer Marketing. A survey found that 47 percent of consumers block advertisements, so influencers are becoming the best way for brands to reach an audience. Influencers have established credibility with their audiences, and now they are using that credibility to vouch for a company’s brand. Using their own personal brand and voice as support, influencers can bring increased visibility and awareness for a given brand. Similar to the Influencer Marketing trend, consumers are craving a personal connection with their favorite brands. A way to service that connection is Chatbots for customer service. With the evolution of messaging services with each social media platform, and the popularity of Chatbots like Slack and Skype, customers are interested in more conversational experiences. This allows marketers to engage with their consumers on a regular basis. "Conversational Commerce" will only grow in 2017, and it will allow brands to provide their audiences an easier way to access their products and services. The preferred social media platform for any given audience continues to evolve, but one thing remains consistent: consumers want brands that are easily accessible and personable. 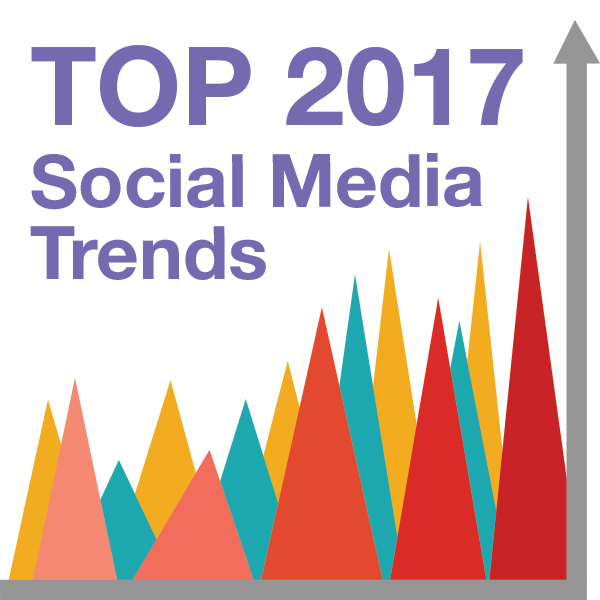 Incorporating these trends into your 2017 social media strategy will ensure that your brand stays ahead of that changing landscape.